Other topics we may delve into include: creativity, spirituality, finances, home environment, joy, and education. Whether or not you realize it, all of these areas of your life can have a large impact on your health. In this program, we will focus on your health and nutrition, but dive deep into any other areas of your life needed to help you find solutions to problems you’re experiencing. I can help you with losing weight, creating healthier eating habits, reducing stress, getting better sleep, having more energy, reducing chronic symptoms, and more. I love seeing women make small natural changes to their diet and lifestyle and experiencing a transformation in their health! This program is available in 3 or 6 month options. Together we will go through your kitchen and pantry to see what your family is currently eating. We will discuss healthier options to replace what you currently consume and I will give you recommendations on foods to add. I will help you learn how to better read nutrition labels and know what to look for when grocery shopping to make healthier choices for you and your family. I will help you identify and eliminate harmful ingredients to get all the toxins out of your kitchen. We can also discuss cleaning supplies if we have time! I will help you learn more tips for saving money and wasting less food. You can shop in budget and make healthy meals for your family! I will teach you what to splurge on and what to save money on! 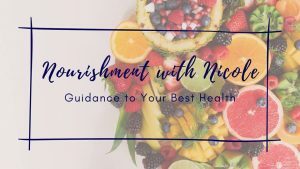 You will also receive a follow-up email from me with bonus materials including suggested recipes, a resource all about toxins in common household cleaners, and any suggested foods or ingredients we discussed during the session. These sessions cost $200 for up to an hour and a half of 1-1 time with me via videochat.